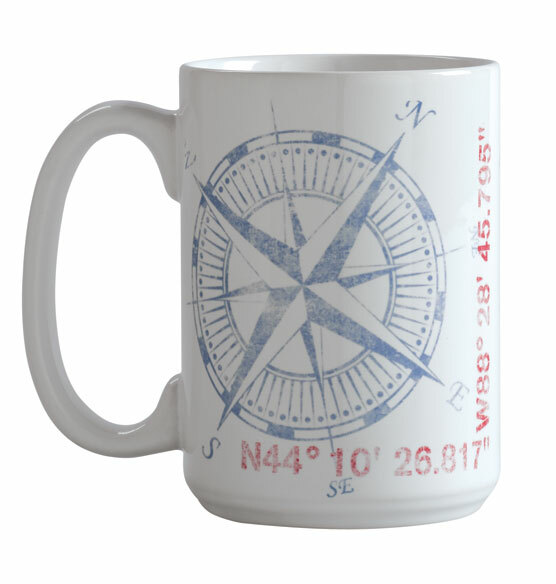 The antique compass design on this True North mug reminds you of home no matter where you may be. Give us the address of the place you call home, and our artist will convert the geographic coordinates to latitude and longitude. The personalized mug's distressed nautical motif is perfect for a beach house, cabin or yacht. This custom mug makes an ideal gift for a college student, traveler or someone who is relocating.